Due to Dubrovnik’s location right on the thin, southern tip of Croatia, it is relatively easy to pop over the border further south into Montengro. (In fact, many of those who are holidaying in one of the Montenegrin coastal towns find it easier to fly into Dubrovnik.) Here’s a guide to some of the day trips from Dubrovnik to Montenegro that you can make! Just over the border into Montenegro are a number of coastal towns – and you may like to see what other Adriatic seaside towns are like. Amongst those that are relatively easily reachable from Dubrovnik are Herceg Novi, Budva and Kotor. The majority of these towns don’t really have many beaches to speak of, so if that’s the kind of thing you’re after it’s probably better to plan a different daytrip. Renowned tour and activity company Viator offer a 12-hour Montenegro Day Trip from Dubrovnik, that includes stops in Kotor, Cetinje and Budva if you’d like an organised tour with a few stops, as well as an 11-hour Private Tour: Montenegro Day Trip from Dubrovnik or the Montenegro Full Day Trip from Dubrovnik, both of which have stops in Perast, Kotor and Budva. 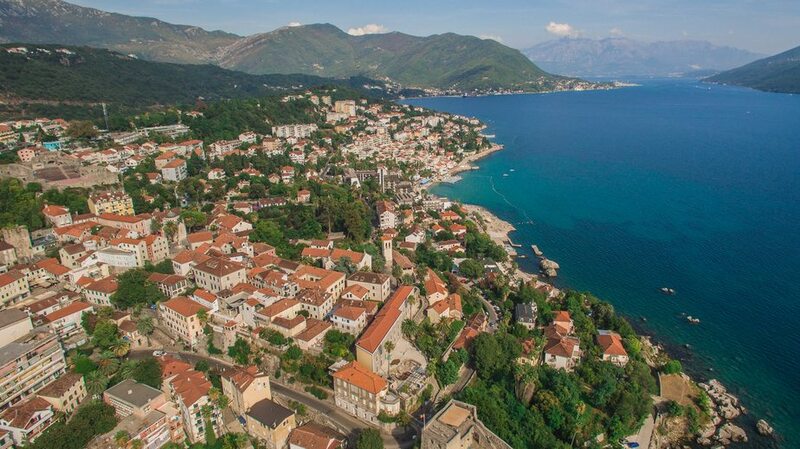 They also have a 10-hour Ancient Montenegro Day Trip from Dubrovnik that includes sightseeing tours of Roman artefacts in the towns of Risan and Kotor. Or if you’re after something a little more active, why not try the Montenegro Day Trip: Tara River White-Water Rafting (from Dubrovnik). Remember, as you’re going into a different country, do double-check if you require a visa for Montenegro at the Montenegro Ministry of Foreign Affairs website. Kotor is probably the most worthwhile Montenegrin town to make a day trip from Dubrovnik to; it’s a wonderfully preserved costal town with numerous sights. The bus journey to Kotor takes around 2 hours. Croatia Bus have several buses per day between these two places, whilst Bozur has one route a day. On the Kotor Bus Station website, you can also see a list of departures from Kotor (but not arrivals! ); there’s also timetable details on the the Dubrovnik Bus Station website (we’d suggest enquiring at the bus station for the most up-to-date times). 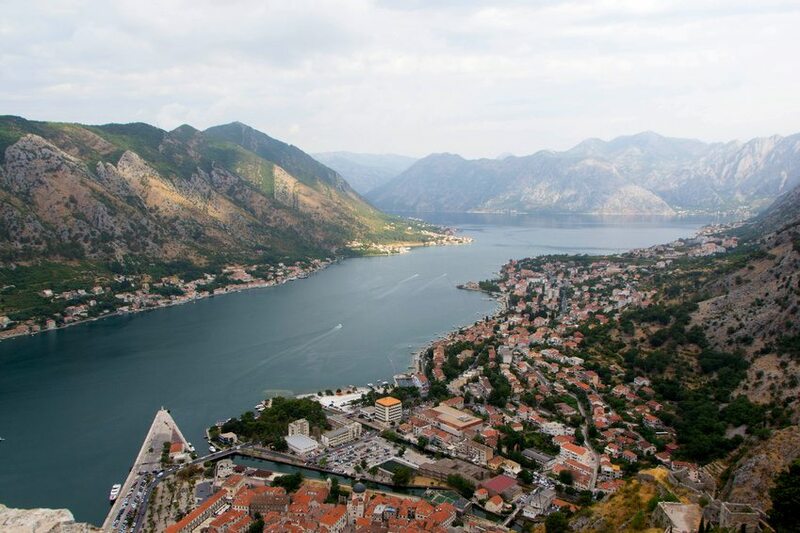 All in all, a day trip to Kotor by public bus is certainly do-able. Kotor is set on the beautiful Bay of Kotor (along which a number of towns are situated – you could equally stop off at any of them) and is a UNESCO World Heritage site. Amongst the sights to see are the well-preserved Old Town and its city walls (along which you can walk). There’s also the Cathedral of Saint Tripun (built in 1166). More at Visit Montenegro – Kotor and the Kotor Tourist Office website. The bus journey to Herceg Novi only takes around 1 and a half hours; Herceg Novi is the first larger town you come to after you cross the border into Montenegro. See the Dubrovnik Bus Station website for times to and from Dubrovnik; routes are run by the companies Croatia Bus, Bozur and Blue Line. There’s plenty of sightseeing opportunities in Herceg Novi, including several fortresses (such as Forte Mare); churches (St Michael Archangel Church and St Jerome Church, both in the Old Town); monasteries and galleries. More at the Herceg Novi Tourist Office website. Budva is further south along the coastline, about 3 hours away from Dubrovnik. It’s perhaps better reached using an organised tour, rather than spending 6 hours (return) on a public bus! (At times that only give you a few hours in the town.) Nevertheless, check out times with Croatia Bus. If you do fancy visiting you’ll be rewarded with sights including Budva’s Old Town, with its city walls and churches. Budva is more famous, however, for its sandy beaches in the city and around it. It is this that makes the place a popular tourist destination – the most popular in Montenegro, in fact. This also means that the city has a bustling nightlife scene. 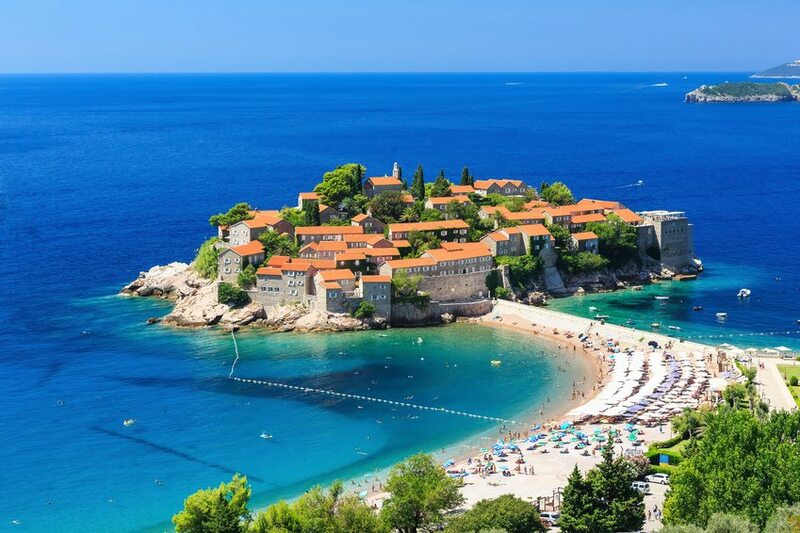 Budva is also famous for the very pretty islet Sveti Stefan, which is now a glamorous 5-star resort. Multi-Grand Slam winning tennis champion Novak Djokovic got married there in 2014! More at Budva.com and the Budva Tourist Office website.